Newsham Park Hospital built in 1870 lies dormant almost lost in time and history. 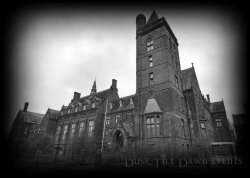 Once an orphanage before coming a hospital then an old persons rest home we think we have found you the most extreme location that you could ever wish to investigate. This vast haunted place still with the original hospital wards is terrifying from the minute you enter its front doors to the minute you leave. Who or what will you find in the Mortuary complete with fridges and Chapel attached? 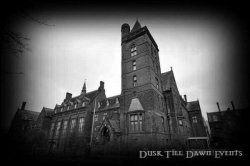 The attic has an oppressive atmosphere and the floor which houses the old orphanage does not feel welcoming; with 18 naughty punishment cupboards this place really has a dark foreboding feeling – we just hope that you are brave enough for this all time ghost hunt. Should you be interested in a ghost hunt at the Abandoned Newsham Park Hospital and Orphanage that has sold out please call us on 0115 9722 534 We may have a last minute cancellation and may be able to accommodate you.